책내용 A Must for Developing and Improving Your child's Math Skills! 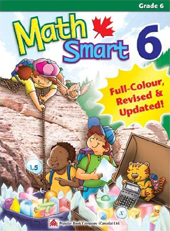 Mathsmart provides curriculum-based units with systematic and progressive practice to ensure that children understand the concepts and master the necessary skills. Step-by-step explanations and Math tips are provided along the way to guide them along. Also included are two progress tests and two assessment tests.